Two Meatballs: If the Shoe Fits…Buy It!!! Home › Latest News › Two Meatballs: If the Shoe Fits…Buy It!!! 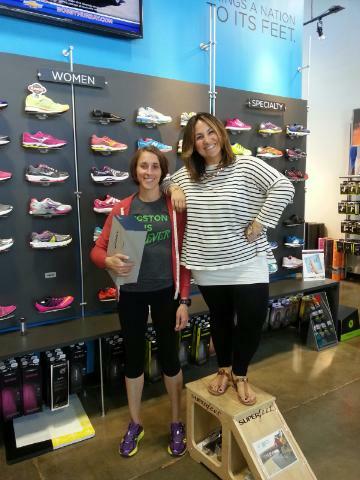 Bloggers Sara and Jenny from "Two Meatballs Get Fit" visited our North Raleigh location on Friday, May 16. Weeeeee did!!!!! Hiiiiiiii you guys!!! Jenny and I were both DESPERATE for new sneaks and we also thought this would be a great opportunity to get us out of our slump! We both feel more motivated when we love what we are wearing to workout. 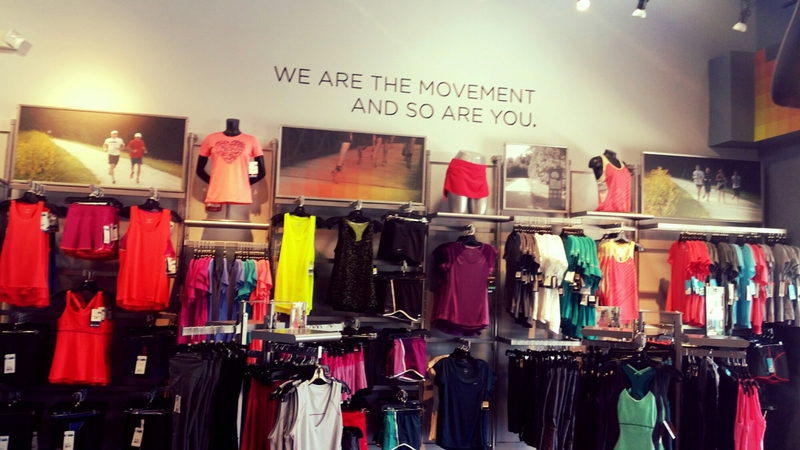 The cuter we feel the harder we workout. 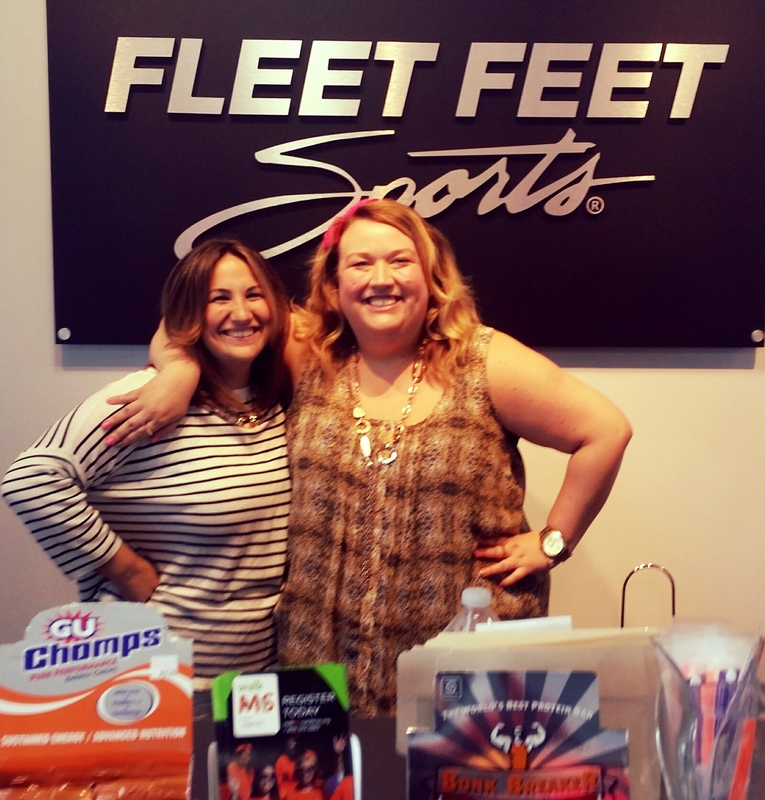 So…We decided to support our neighborhood shoe store…Fleet Feet and we loved the experience. Not being runners we felt slightly intimidated but our experience was soooooo fun. We were greeted by very tall, very fit humans. 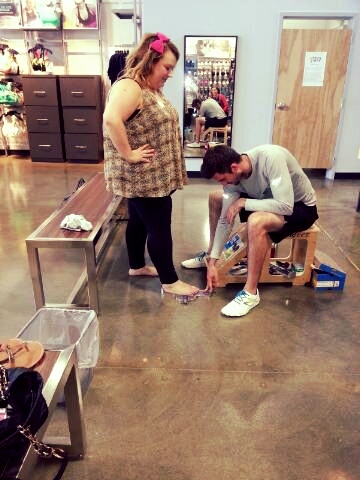 Katie and Tom helped fit us with new shoes that we love. The fitting was a real process!!! First, you take your shoes off and they crouch on the ground and watch you catwalk it. Then they ask you the most embarrassing question…how old are your current sneakers!!! Mine were six years old and Jenny set a store record…10 years!!!! It was hilarious. Then you measure your foot. 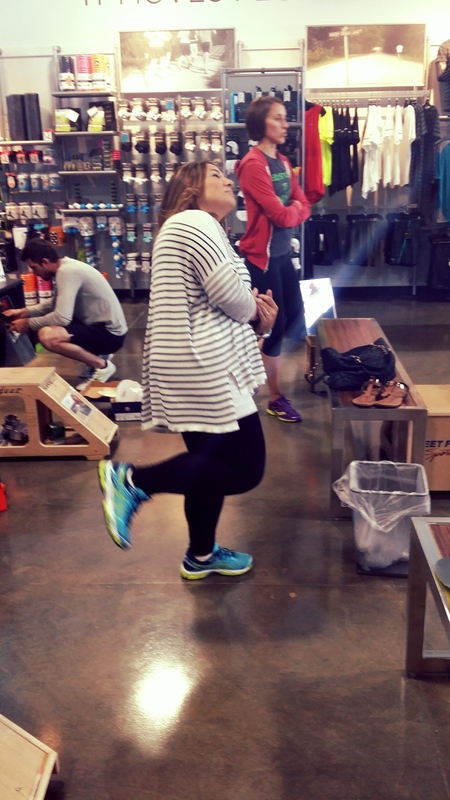 Spoiler alert…I was wearing the wrong size…no wonder I hate wearing shoes so much!!! Then you pick a shoe that works best with your issues! 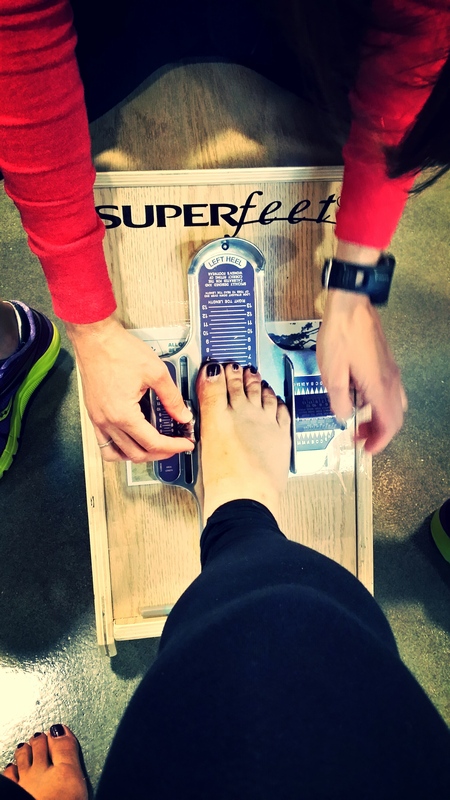 There were tons of options but because of my foot width and size…My options were limited…which is a feeling I’m all too used to! 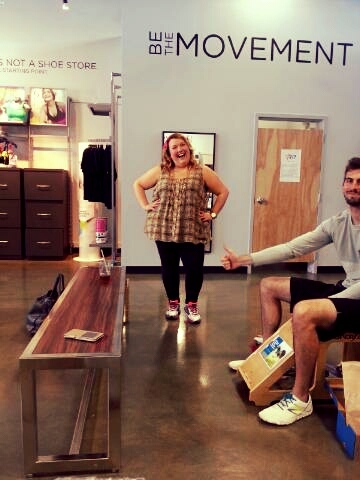 But these shoes we tried on felt amazing!!! They felt so good in fact we had to bust a move! 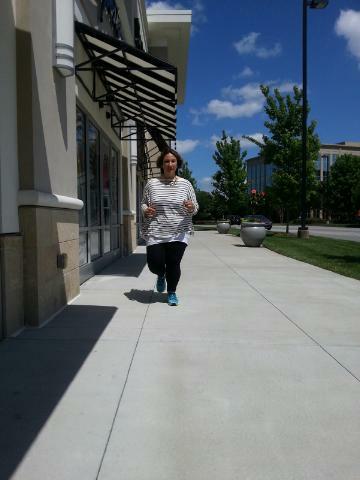 Think Elaine from Seinfeld!!! Nothing makes you feel older than dress clothes and tennis shoes…am I right ladies!!! Then you have to run while they watch you…these guys were serious voyeurs winky face! 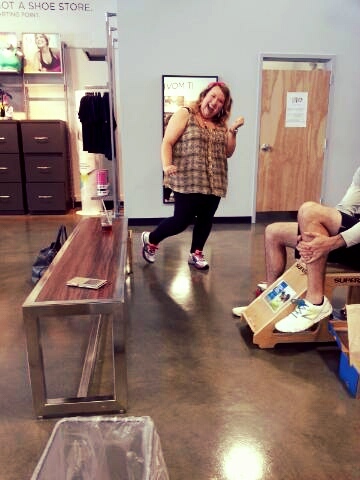 We both fell in love with how great our shoes felt and we were ready to purchase with zero remorse. We’ve been working out so hard and now it’s going to feel even better. 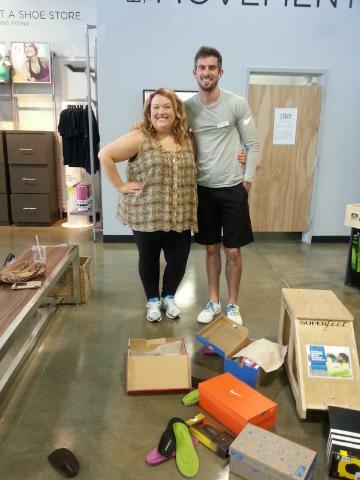 We loved our super helpful personal shoe gurus…We felt like adorable little Cinderella’s!!! Jenny’s shoes were so incredible they made her grow like a whole foot!!! Ta-da!!! 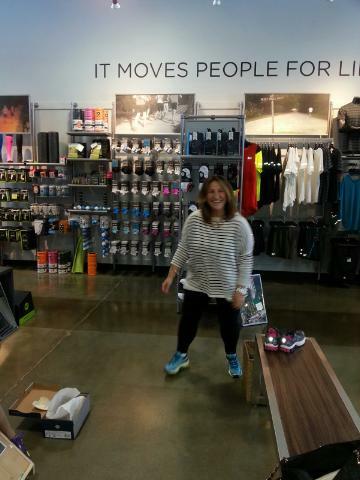 Fleet Feet had more than just shoes…they have all kinds of fun workout gear…they even have wedgie free undies. Bucket list?! 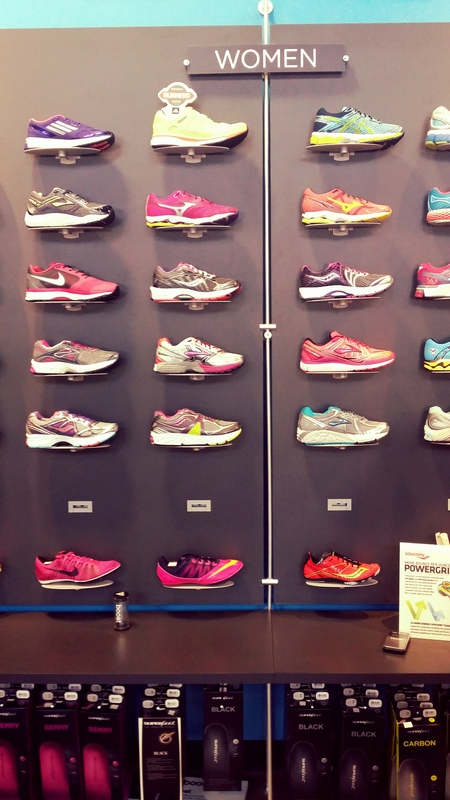 Good shoes are so important! We’ve both had better workouts since we made our new purchases!!! 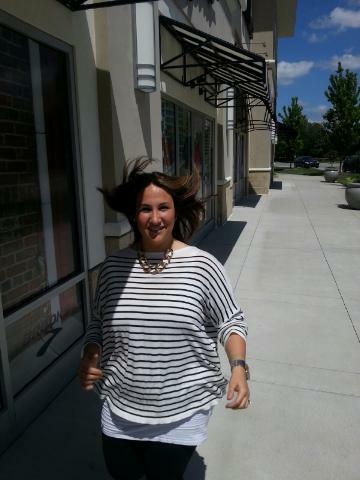 So, if you are in the market for some new kicks come to Fleet Feet…it’s three doors down from Samuel Cole Salon!!! Hang out with our new buddies…Katie, Tom and Brent!!! Thanks so much you guys…We will mos def be back!